Few places are capturing the attention of travellers, filling guide book pages and topping travel lists this year in the way Canada is. For those eager to explore natural wonderlands, enjoy once-in-a-lifetime wildlife encounters and breathe in impossibly fresh air with a backdrop of lakes, mountains, glaciers, rivers and even the Northern Lights, Canada is a destination that won’t disappoint. Any time is a great time to visit Canada but 2019 appears to be the year that this country is stealing the spotlight and dominating travel headlines. If you’re keen on or have started planning Canada 2019 holidays, uncover our top 3 destinations to experience this year. Covering more than 649,000 square kilometres, Manitoba is Canada’s fifth most populous province. Bordered by Ontario to the east, Saskatchewan to the west and Nunavut to the north, Manitoba boasts diverse geography, making it an intriguing place to visit for outdoor enthusiasts and wildlife lovers. Winnipeg is its largest city and provincial capital, offering plenty in the way of attractions and sights, including Assiniboine Park and a world class Zoo. The Forks shopping complex and the Canadian Museum for Human Rights are also great stops here. The state of Manitoba has been highlighted by Lonely Planet as one of the places to visit in 2019 and the spectacular nature of the area is the main reason why. Perhaps the region’s most significant draw is its elusive, native and majestic polar bear. Visiting Manitoba offers the opportunity to see these incredible creatures in the flesh, an experience that is simply unforgettable. 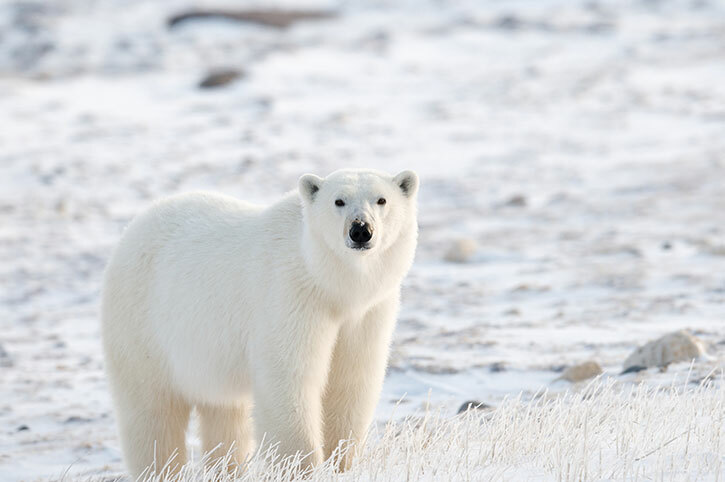 Discover polar bears in this breathtaking region with the Churchill Polar Bear Experience, a six-day adventure tour that departs from Winnipeg and takes participants on a voyage of discovery. After your first night in Winnipeg, travel north onto Churchill, taking a short flight to reach this town in the tundra on the edge of Hudson Bay. On arrival in Churchill, there’s free time to explore before getting an early night ready for the polar bear adventure to come. For the next two days, you’ll participate in a guided tour of the boreal forests that adorn the Hudson Bay coastline. Along the route, stop at designated viewing areas to keep a look out for arctic foxes, hares, ptarmigan and snowy owls. Travelling through the tundra in a specially designed, heavy-duty vehicle is an exhilarating experience, but nothing can prepare you for the sight of one of the world’s most powerful, beautiful animals. Throughout the day, guides will be keeping watch for polar bears plodding through the tundra, with their unmistakable glossy off-white fur. According to the Canadian Wildlife Service, there are between 900 and 1,000 polar bears in the Churchill area, with most residing in the western part of the Hudson Bay region. In addition to spending the days travelling through the forests looking for polar bears and arctic foxes, on this adventure tour you can also enjoy a dog mushing excursion. Dog mushing is an exhilarating method of travel and it also represents a fantastic way to enjoy the scenic views. The dogs are trained to run fast, they have the speed and stamina to bring you on a sled through the wilderness and they’re always keen to make friends once their work is done. Canada is also one of the best places to see the famous Northern Lights and guests visiting this part of the world will have the chance to experience this phenomenon in all its ethereal, colourful glory as the sun fades and the skies darken. Churchill is one of the most northerly towns you’re likely to visit and is a great place to check out this incredible sight. This tour also offers the chance to visit the historic area of Cape Merry to see the ‘Polar Bear Jail.’ This is a secure holding area, which is used when bears are spotted close to residential areas. If a local spots a polar bear, they call a dedicated phone line and the bear is kept in the ‘jail’ before being transported back into the wild again. This stop marks the last chance to catch a glimpse of polar bears before flying back to Winnipeg. 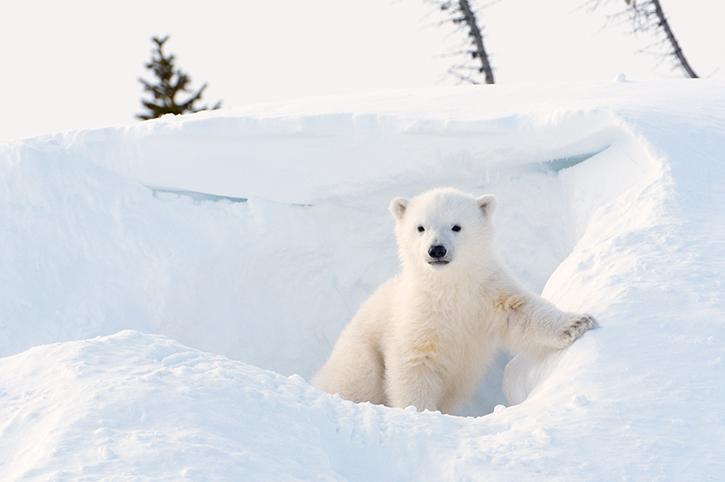 Find out more about our Polar Bear Experience now. Yukon is a territory in the North West of Canada, which is famed for its outstanding natural beauty and diverse collection of wildlife. A sparsely populated land that provides a haven for impressive creatures like mountain elk, moose, caribou, muskoxen and bison, visitors can expect an endless reel of scenic images depicting rivers, glaciers, lakes, mountain ridges and grassy plains. The Yukon Valley is the jewel in the crown and there are two main ways of seeing the sights and taking in the views. Hiking is a popular pursuit here, but it’s highly recommended to book a Yukon river tour. Indeed, a Yukon canoe adventure is a brilliant way to explore this breathtaking territory, and hopefully, set eyes on some of its most precious inhabitants. In the valley, it’s common to see beavers, moose and black bears. Our recommended 8-day Yukon river tour begins in Whitehorse, also known as the Wilderness City due to the fact that its streets are framed by mountain peaks and crystal clear lakes. Although surrounded by awe-inspiring feats of Mother Nature’s engineering work, Whitehorse is a lively hub close to the border with Alaska, which always extends a warm welcome to those passing through. Spend the afternoon and evening meandering the charming streets and soaking up the local hospitality before embarking on your canoe adventure the next morning. The Yukon River provides the setting for this dramatic yet sedate excursion, which covers 300 miles over the course of seven days. 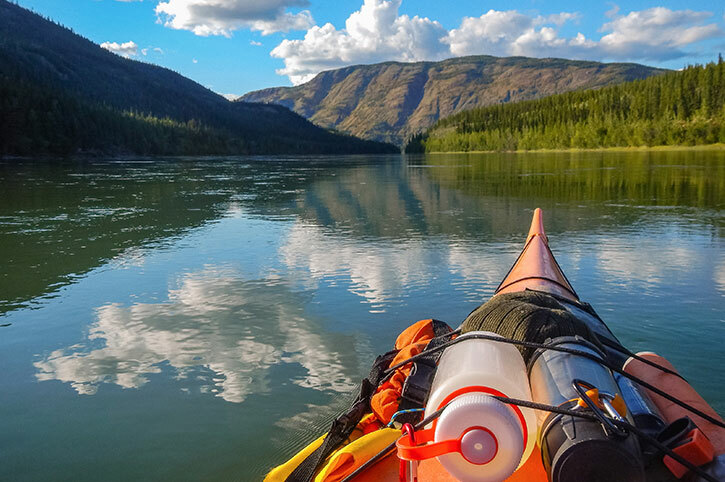 The adventure includes shoreline paddling at Lake Laberge, the opportunity to explore the historic spot of Hootalinqua and the chance to spot bear fishing in the Big Salmon River. The shores of the river are often a haven for both black bear and moose, so keep your eyes peeled whilst paddling. Permits can be purchased in advance for those keen to try their hand at landing the catch of the day and your guide will stop sporadically to take advantage of the best wildlife spotting areas and provide information about the route. On leaving the Yukon Valley, stop at the small, quaint village of Carmacks, which is named after George Carmacks, the co-discoverer of the Klondike Gold Rush that put Yukon on the map in the 1800s. From here, it is a three-hour bus ride back to Whitehorse again. Book your Yukon Canoe Adventure today. A maritime province located in the east of the country, New Brunswick is famed for its forests, rivers and national parks. The Bay of Fundy and Fundy National Park are highlights that shouldn’t be missed, especially during whale watching season. St John is a lively port city, which has a bustling food market and a clutch of museums including the New Brunswick Museum. This museum houses artwork by local artists that date back to the 1800s. Maritime Canada is undeniably beautiful and a scenic self drive is an ideal way to enjoy the sights and explore the provinces of New Brunswick, Nova Scotia and Prince Edward Island. Explore the thriving historic port town of Halifax. Hike, canoe and cycle at Kejimkujik National Park. Experience whale watching in the Bay of Fundy: in the summer, it’s possible to see humpbacks, finbacks, minke and right whales. 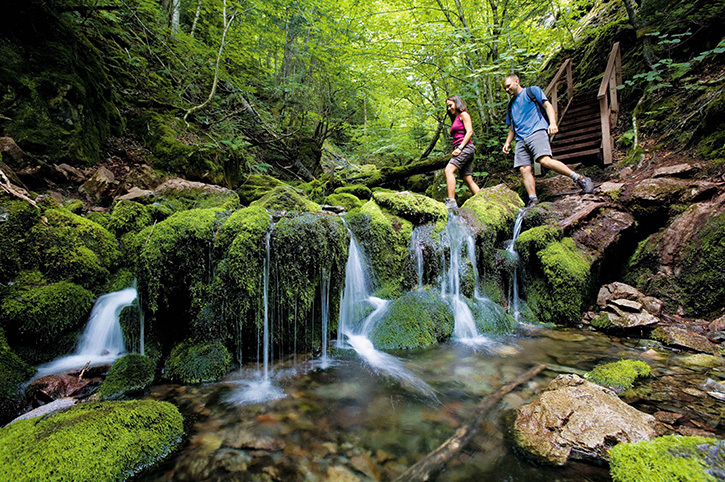 Discover the wild beauty of the Fundy Coast, driving the Fundy Trail Parkway to reach Fundy National Park, which is famed for its dense forests. Marvel at the height of the waves at Hopewell Rocks, the home of the world’s highest tides. The gravitational force of the moon and sun contribute to powerful tides that rise and then fall up to 48-feet. Explore marshes, tidal rivers, lagoons, coves and forests at Kouchibouguac National Park. Cross Confederation Bridge to reach Prince Edward Island, which is the home of Anne of Green Gables. Here, there is a choice of three coastal drives, each one providing a magnificent setting for a road trip with a view. This island is famous for its lighthouses and there are more than 50 in total. Catch the ferry to Pictou, Nova Scotia before heading north to Cape Breton island and settling by Lake Ainslie. Here, it’s worth paying the Hector Heritage centre a visit and setting foot on a replica of Ship Hector. This was the boat that first brought settlers from Scotland to Nova Scotia. Visit Inverness and look out for the colourful sands that are known as the Mermaid’s Tears. The next route is the Cabot Trail, a coastal path that rises from sea level to 3,000-feet, affording stunning views. A self-drive tour of New Brunswick and the neighbouring maritime provinces is a wonderful way to explore these beautiful regions at a leisurely pace. It is possible to cover a lot of ground and see a host of different landmarks and attractions without hurrying. Following a rough itinerary allows time to stop, take in the views, capture photographs and savour those magical moments. Find out more about our Scenic Maritime Canada Self Drive today. Canada has been a popular holiday destination for many years but it has emerged as a real contender for the best place to visit in 2019. Offering a vast array of wildlife and adventure experiences in a breathtaking setting, Canada provides the chance to see polar bears in their natural habitat and canoe along rivers flanked by mountains and black bears, as well epic driving holidays along coastal routes that offer views of lighthouses, snow-capped peaks, ocean waves and sun-dappled forests. Start planning your 2019 holiday to Canada now.